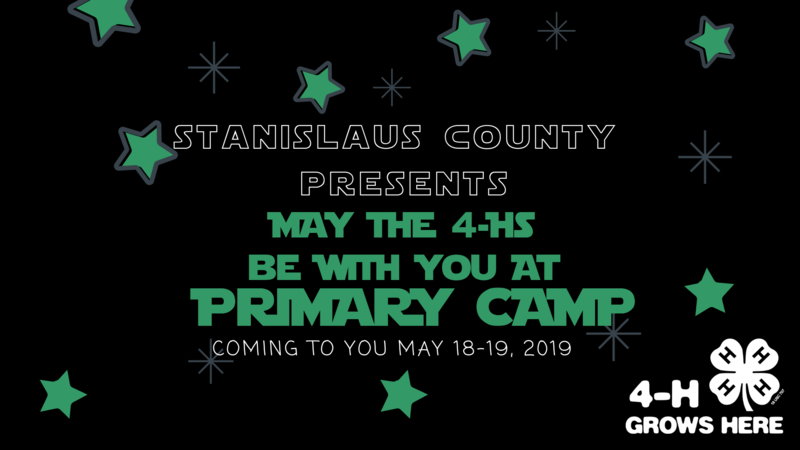 What's Happening in Stanislaus County? Small Animal Skills Day will take place on Saturday, April 27, 2019 at the Stanislaus County Ag Center located at 3800 Cornucopia Way, Modesto, CA 95358. Check-in will be from 8:30am-8:45am so please plan accordingly. 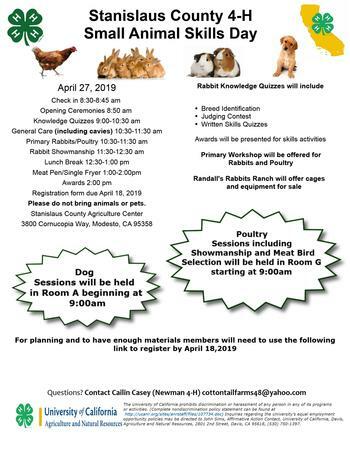 This event is an opportunity for small animal exhibitors to test their knowledge, learn about general care, showmanship, and connect with the community. 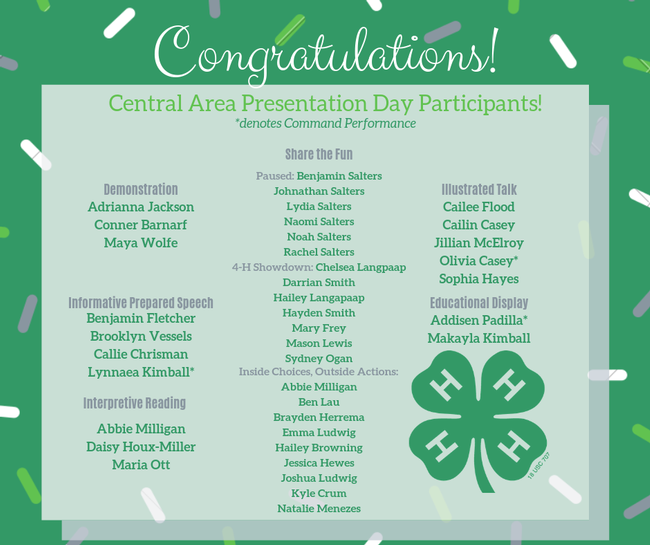 This event is open to 4-H and FFA members. Please do not bring animals or pets. For questions, please contact Cailin Casey at cottontailfarms48@yahoo.com or the county office at (209)525-6800. 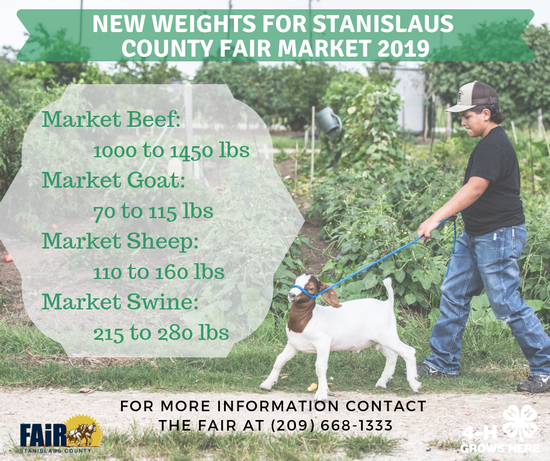 The Stanislaus County Fair has put out new weight hard tops for market at the 2019 fair. Please make sure you take note on the new weights for your specie. 4-H is an informal educational program that allows youth to learn by doing. The 4-H community club program offers a wide variety of activities for youth. Youth join a club, take part in monthly meetings run by members and explore their individual interests through projects. Each club has at least one Community Club Leader who is an adult volunteer. Project meetings are set and run by additional adult volunteers. Members can also participate in a number of county, regional, and state-wide 4-H events. The 4-H Record Book Page- Forms and Information. Books for County Level Judging due to the 4-H office by August 1st. Look here for forms you may need as a Community Leader and items being reviewed by Leaders Council. Livestock information, forms, meeting information. 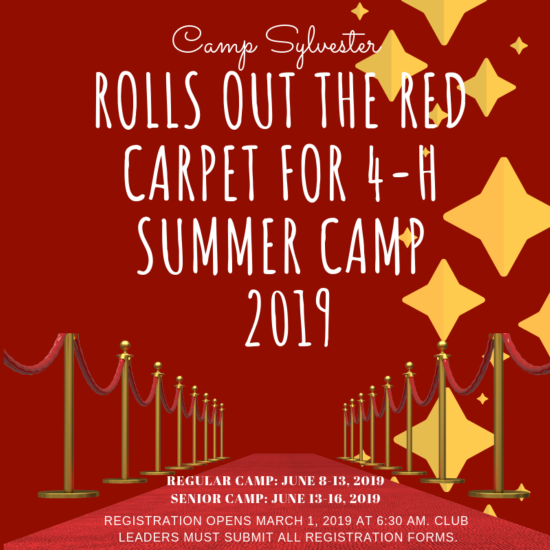 Download forms for Emerald Star, All Star, and Scholarships here. Watch "True Leaders Are Grown"